Take your gun and kill the cursed Nazis white police! In the picture Nsita posted with his tweet it shows several African American men pointing a gun at a police officers head. We tracked Nsita down to facebook where he goes by Willy Nanzueto. Good ol Willy is an avid fan of Farrakhan and Al Sharpton, which really didn’t surprise us much. In fact Nsita doesn’t just follow 1 Farrakhan page, he follows 5. At this point in time we believe Nsita lives in Europe, specifically in Switzerland but this is not confirmed. If this is indeed true I’m sure Swiss Law Enforcement would love to hear about Nsita’s anti Police rhetoric. Two “Words of Farrakhan” twitter accounts also follow Nsita, though it’s unknown if they have any actual affiliation with Farrakhan. 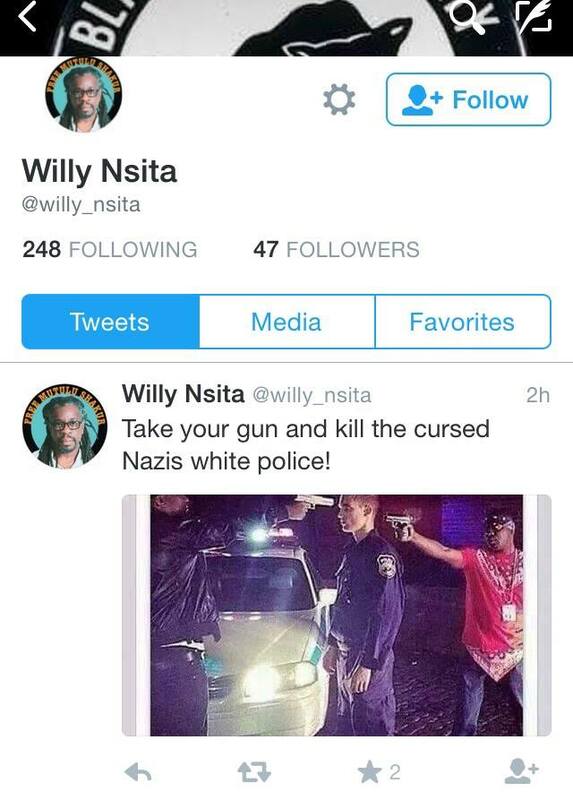 Nsita is also an avid follower of the Black Panthers as he posts about their “causes”. His twitter picture is a “free Mutulu Shakur” picture. 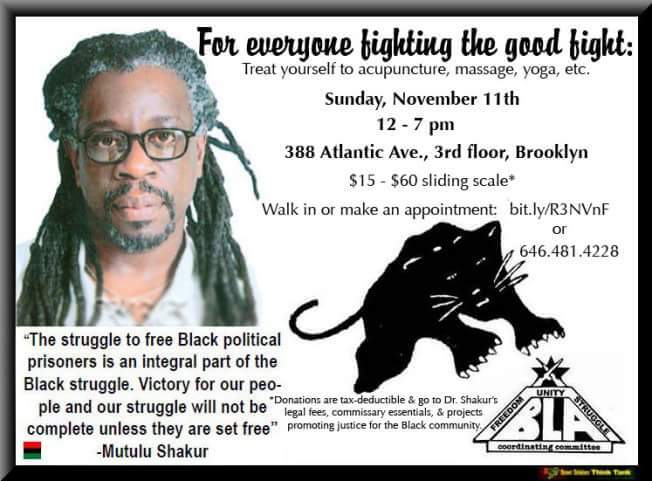 Mutulu Shakur was once on the FBIs 10 most wanted fugitives list, which makes him the perfect role model for anyone affiliated with the racist anti white hate group called the Black Panthers. We will update this article as more information becomes available..
H/T to Perseus for finding the tweet. 6 Comments on "Farrakhan Supporter: Take Guns and Kill White Police"
Unbelievable how this Nigroid can go from town to town preaching his hate.Kill Cracka’s and our children. Why hasn’t this POS been arrested? If a White man was to speak out like thid they’d be arrested within a week. He’s obviously gpt followers that are ignorant enough to believe and fulfill his hate speeches. Don’t worry, he is a N*GGER & will get away with it because of his skin color but if this were a CRACKER calling for the killing of BLACK officers, they would be rounded up & paraded in front of the cameras with Obama making statements on TV.